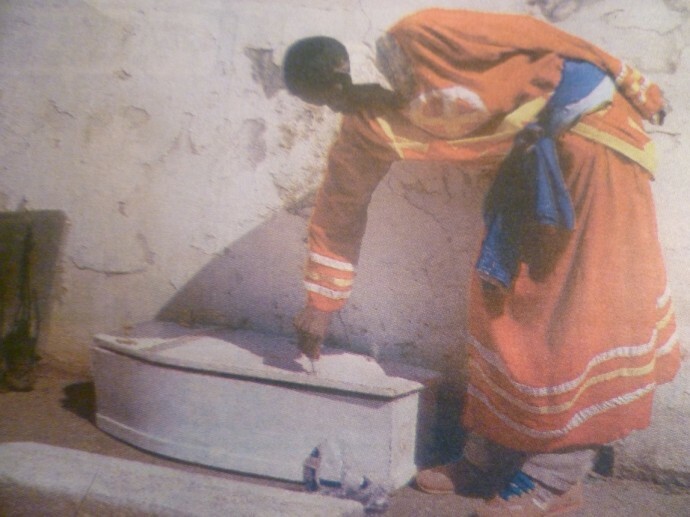 A 37-YEAR-OLD self-confessed Chiredzi prophet landed himself in trouble with the law when he removed a corpse from the coffin, ordered a refill of the grave and the destruction of the coffin before carrying the body to the top of a hill where he spent two days praying for it to resurrect but failed. This was after he was asked to deliver a graveyard sermon immediately before burial. His bid to perform the miracle that Jesus performed on Lazarus was a futility after the corpse continued to decompose at an alarming rate in the 48 hours that he prayed for it. Mourners and relatives had to contact the police after the send-off of their relative Kudakwashe Garapo was somehow disturbed after the man of the cloth Paison Musimari of Batsirai compound in Mkwasine, Chiredzi told them he can give him another lease of life through prayers. He was arrested last week and has since appeared at the Chiredzi magistrates’ court for “violating a corpse” as defined in section 111 of the Criminal Law (Codification and Reform) Act Chapter 9:23. He appeared before Ms Constance Mtandwa and was remanded out of custody to 29 February. Circumstances as presented by the prosecutor, Mr Liberty Hove, are that following the death of Garapo whose age could not be given, Musimari was asked to preach at the graveyard before burial. It is the State’s case that Musimari took to the stage and started his sermon while Garapo’s body was lying in a closed coffin adjacent to the grave. The State further told the court that while preaching, the accused gave a prophecy to the mourners to the effect that the deceased would resurrect the following day and warned against burying the deceased saying it was tantamount to burying someone alive. And much to the chagrin of mourners and relatives, Musimari in a trance-like state went and opened the coffin, removed the body from it and carried it to a hilltop while ordering stunned mourners to carry the empty coffin home or possibly destroy it as well as filling in the empty grave while they wait for him to bring their resurrected relative. Some of the relatives, however, could not stomach the sight of the unheard of miracle except in the Bible and they reported the case to the police. The following day police officers arrived and found Musimari still with the body at the top of a hill praying for it. The court further heard that the body was already at an advanced stage of decomposition mostly due to exposure to the scorching sun and since that was the fourth day after death. The accused person was arrested and police ordered the burial of the deceased at Nyangambe that same day.